“God made woman then he jerked”, reads a mural on the street of Monrovia, the capital city of Liberia, a country mostly remembered for its fourteen-year civil war in which an estimated 250,000 people lost their lives and more recently – the Ebola epidemic. It’s also a title of a project I began to work on in 2013. 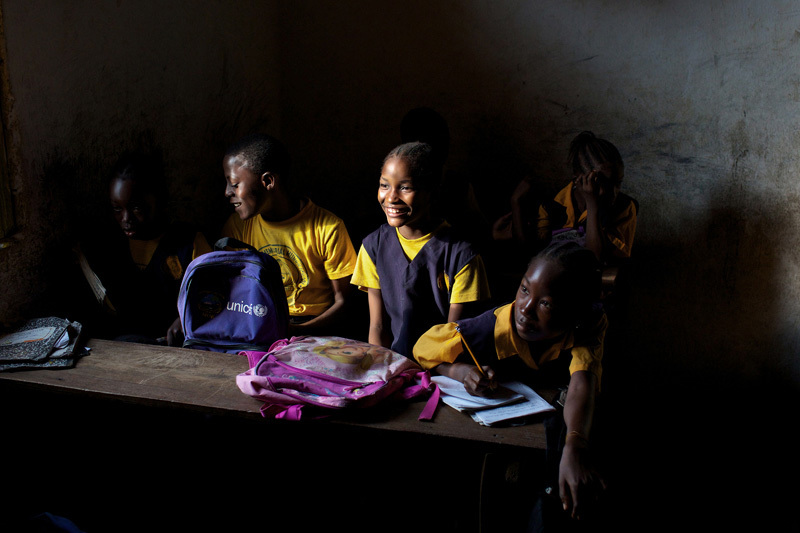 As Liberia celebrated its 10th anniversary of peace in summer 2013, and with a woman occupying its highest political office, this project explores the lived experience of a post-war generation of girls growing up among a war-scarred population. 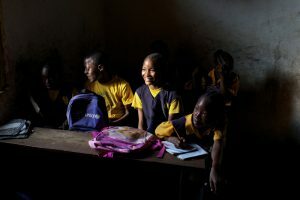 The “lived experience” can be seen as extremely broad idea, but it also allows incorporating many aspects that affect girls and young women in Liberia: limited access to education, exploitation and gender based violence. Those issues became exaggerated by conflict, but they also existed before the war, as they do endure in many other societies. They also rarely exist alone, as if feeding on each other, and laying heavy burden on the population of women and population as whole. In fact, the situation of women can very well represent the situation of society as a whole: with very few enjoying success and position of more or less undisputable power and vast majority struggling. HOW TO GET INVOLVED https://morethanme.org More Than Me which works with venerable girls in West Point and provides them scholarships inter own academy (primary education). Currently there have about 170 girls enrolled on the programme. The NGO was set up by Katie Mayler who at the time was working for another organisation and saw the overwhelming need in the slum. Also when schooled were closed due to Ebola epidemic they provided support in the community including converting vehicles into ambulances and looking after children while their parents or guardians were at ETU. With success of their school their are now collaborating with Ministry of Education to implement their model in other schools across the country. The NGO Think Liberia http://thinkliberia.com is local organisation. They provide support like concealing, safe houses to survivors of gender and sexual violence. They are also support teenage mothers to get back to education which is very unique approach.